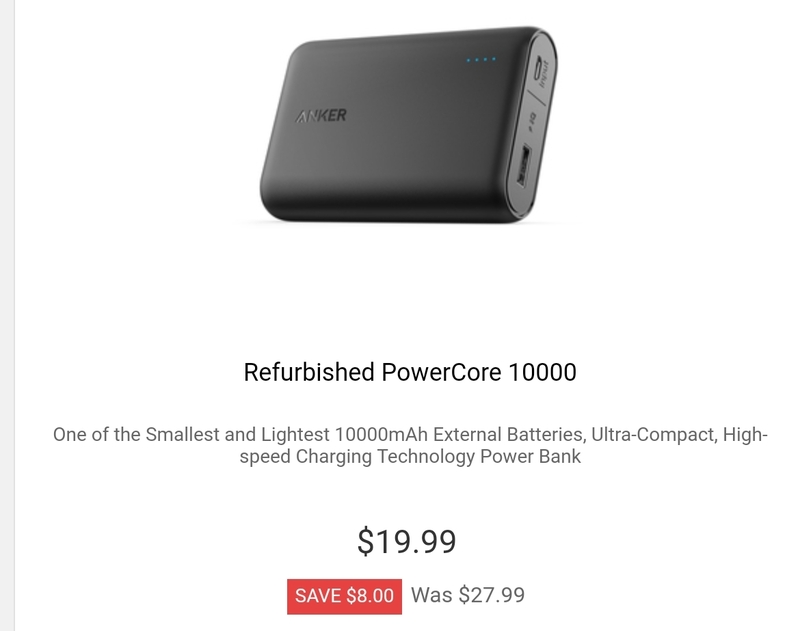 Anker is now selling several refurbished products on their official store. According to Anker, the products are verified through rigorous testing to work and look like new. They come with a 90 day warranty. Currently, discounts range from about 25% to just shy of half off. 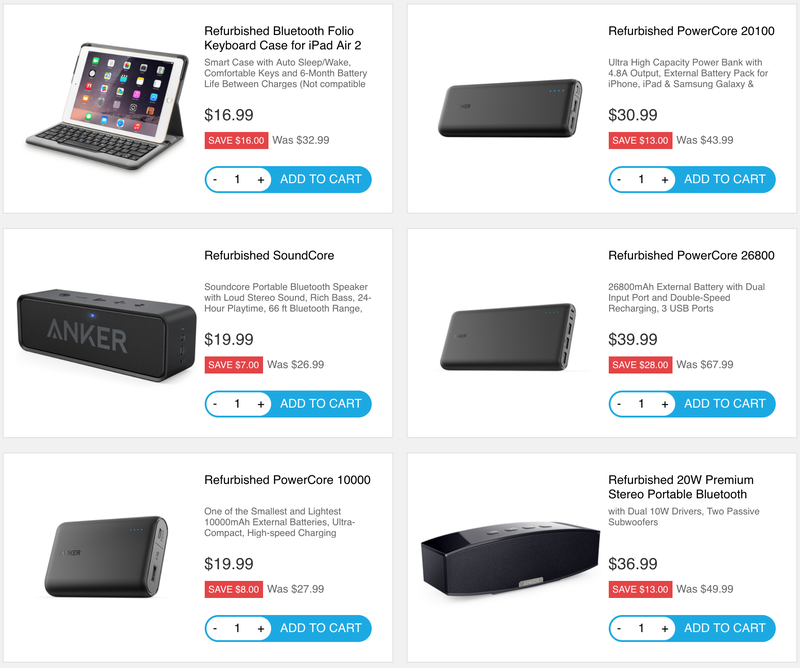 Also right now, Anker has several new products on sale, with discounts up to 43% off. You can view these deals on the Power Deals page. 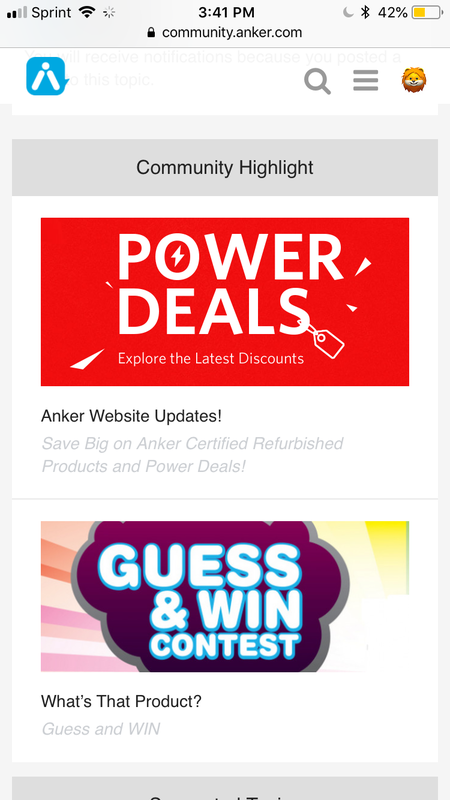 Update: @AnkerOfficial says this page will be updated weekly with new deals! From what I've seen so far, they are the same prices available on Amazon. What do you think of these new pages, particularly the refurbished store?!?! Personally, I'm liking them both! I don't mind buying refurbished form a trusted company. But the price discount has to be deep enough to be worth it. Seconding what @elmo41683 & @Element321 have said, don't mind refurbished items myself if the price is right (bought a few hardware items like this) but also the warranty terms have to be good...some of the items listed in the image you could get close to the same discount on a sale / lightning deal and still retain an 18 month warranty. I will definitely consider this the next time I need something. I've purchased other certified refurbished items (from different vendors, of course) in the past with no issues. 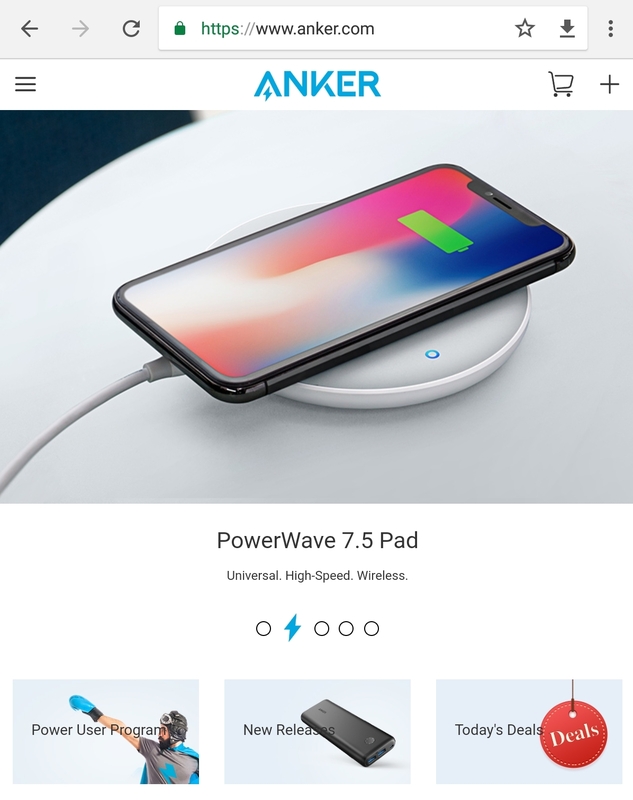 Anker hasn't let me down yet. Like others have mentioned, I don't mind buying refurbished...... as long as it's manufacturer refurbished, discount is substantially lower then when it's on sale, and of course....... a good warranty to go with it. Most of the refurbished items I've purchased thru the years, actually looks like new..... just no fancy smancy box and such. And I haven't had any problems with them neither. I believe that the work that Anker can do for the repairs are well done, but I would like the discounts to be bigger than the current ones. We recently asked for your opinions about our website. You’ll be happy to know that we’ve taken your feedback on board, and have already begun to implement some changes. Yep, we’re talking about Power Deals and Refurbished! In our new Power Deal page, we collect the best deals on one page—from cables, to charges, to speakers and headphones. We will update the Power Deals once a week, so be sure to look out for deals on your favorites. Our new Refurbished section features products which have been sent back to our facilities for repair and testing by our certified technicians. This refurbished gear is guaranteed to work and look like new, and comes backed by a worry-free 3-month warranty. Save up to 40% on the Anker gear you love when you shop refurbished. What do you think of the new additions to the site? What would you like to see added next? We’re looking forward to hearing from you, as always! Thanks for these two links. They are not pointed to within your site. Initial reaction is these refurbished prices are the same as your discounts. So why would I pay the same price for a shorter warranty? what a save!!! how is the sound of Refurbished 20W Premium Stereo Portable Bluetooth Speaker??? If these two new changes were truly suggestions you got through those surveys, that’s impressive. Very quick implementation, especially for the refurb. Like others have said, 40% off might be a little low for it to be very successful considering the shorter warranty combined with the fact that not all products are always available (in fact not many at the moment) so it makes it more like a sale than anything and even then not the best price. When someone says POWERRR DEALLLL, in a red background, to me it says.... OMFG this is gonna be a bloody good bargain, 50% MINIMUM. Remove POWER, and it's just a couple things been reduced a bit. As for refurbished, what your saying is... Come buy SEXIND HAND GOODS, greatly reduced to get rid off, but as a compromise, you only get a 6th the warranty as usual. But that's NOT, what's happening, is it? It's a bit of a sale, with a few possible bargains. Not a power sale, as is implied by the words n display. Refurbished sale, is usually a way for a company to get rid of stock that won't shift cos it's been returned, usually because of a problem.... People haven't a problem getting a great item at a fantastic price but reduced warranty, cos the item was a steal (price wise). This is MY thoughts on it and what it means.to me when I see this sort of sale. Ooooh! I love a deal, but I've got everything I need right now. I'll keep checking back in the future for more deals. Correct! I pass this issue to our sale team, they are discussing the improvement plan.